Southern Cross Care engaged Walter Brooke to refurbish their existing premises on Greenhill Road to mark the formalisation of the South Australian and Northern Territory Headquarters. The creation of a new accessible entry ramp and lift increased building functionality and user amenity, while the new glazed façade provided a contemporary skin to dramatically update the existing building. 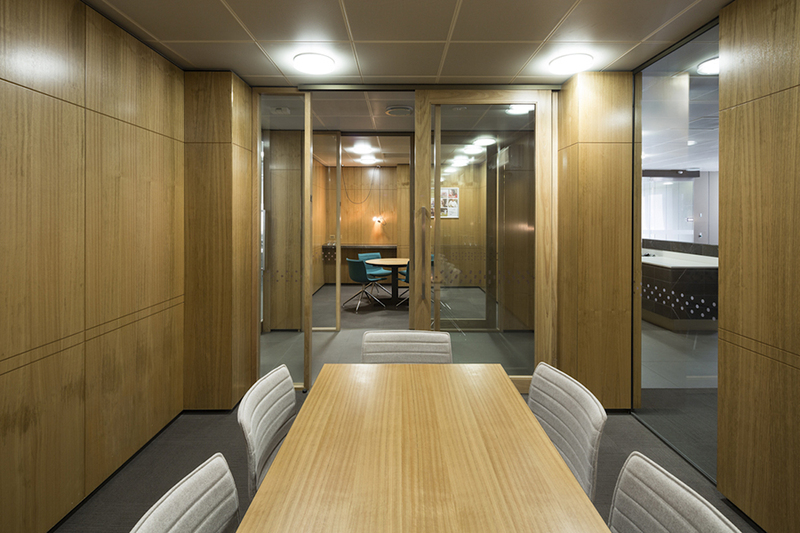 An extensive internal refurbishment implemented a renewed approach to workplace style and methodology, and included a CEO and boardroom suite with associated meeting rooms, new staff breakout and conference area, offices, open plan workspaces, upgraded wet areas and relocated central reception. 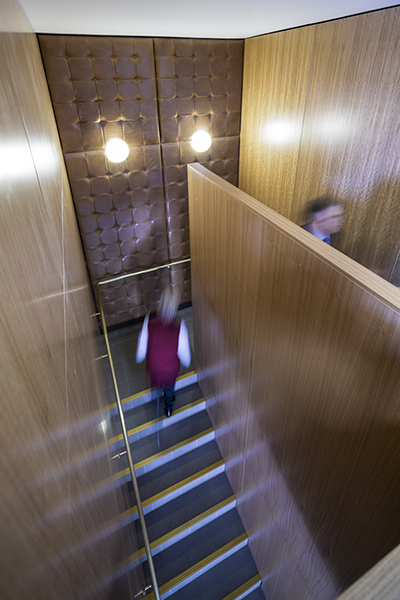 Strong use of timber, brass and copper partnered with striking natural stone provided a warm and sophisticated bespoke interior to public areas and board/meeting rooms. 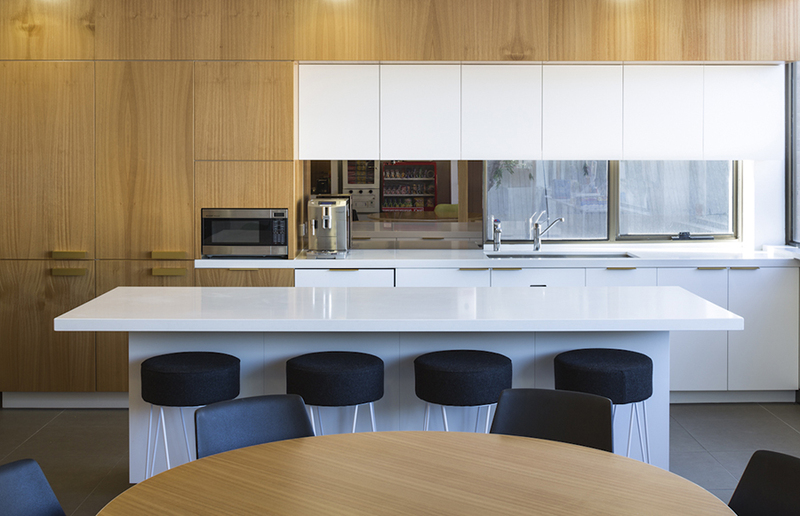 A clean, crisp palette was selected for the work environment to create a brighter and more active space.